The microscope is a source of interesting recreation and a means of introduction to the microcosmos, a world of beauty and wonder unseen by most people. The Microscopy Group of The Field Naturalists Club of Victoria is a group of enthusiasts who use the microscope as a form of hobby as well as observing and studying many aspects of natural history. Monthly meetings are held to assist people to understand the variety of microscopes that are available, how they work, the type most suited for any particular purpose or person, how to get the best results, and how to prepare objects for examination under the microscope. The series of talks cover all aspects of the use of the microscope as a form of recreation and study for people of all ages. Members are able to borrow boxes of slides from the Microscopy Group's extensive collection. These diverse collections of slides may be taken home for further examination. 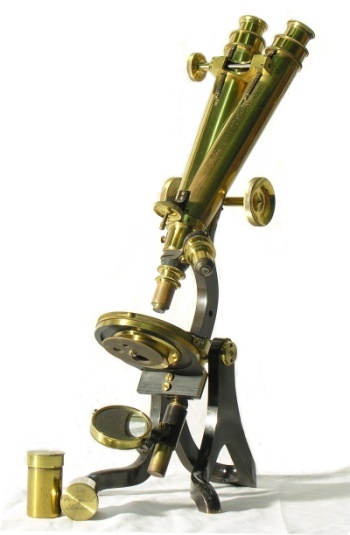 Information on all aspects of microscopy will be given to assist people to become interested in this fascinating hobby.